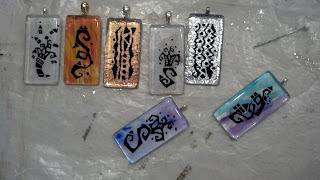 A few more glass tiles in the works. These are ready for beads, I put the bails on last night so now to decide on ribbon, cord or leather. I really like combining cord with the ribbon. I'm trying something different with each one. Although I am still doodling directly on the back of the tile. Since I've been doing these I keep stopping at the craft store for stuff. Found a bead shop on my why home from work so had to stop. Found some different clasp then the toggle I was using, also some different crimps. Oh, and of course more beads. 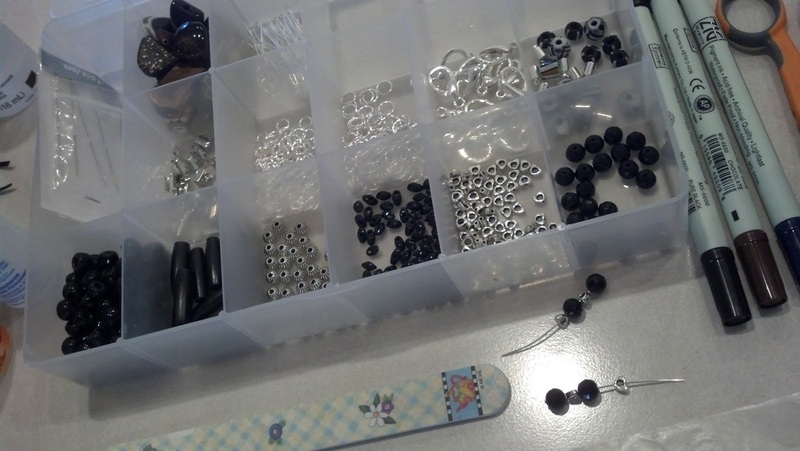 I am getting a little bit more organized, I now have a container for all the little bits and pieces. Instead of spread all over the work space. I'm afraid this is just the start of something. I can see that buying beads can be additive. Although the shops I've been to don't have a very large selection of the beads with the larger holes that will take the cord and ribbon. I'm really enjoying making these. Hope you have a great weekend. Thanks for visiting, let me know you were here, love the comments. 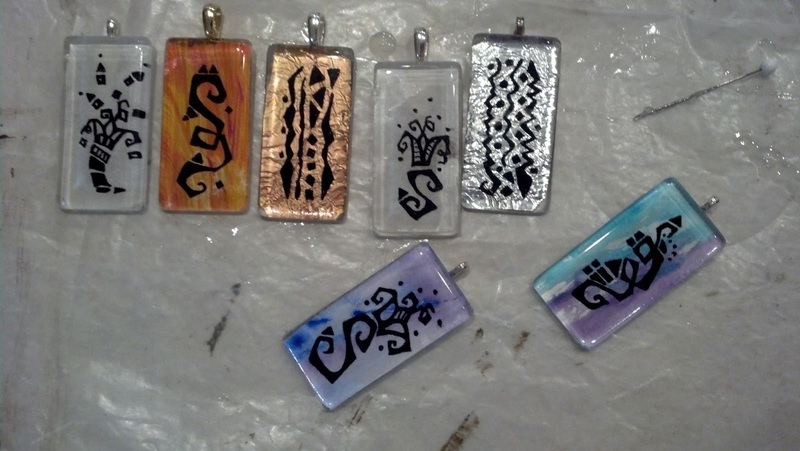 Love what you're doing with these glass tiles, Cyndee. Beautiful!